The PT-50 uses patented Posi-Track™ suspended undercarriage technology that maximizes traction and flotation while giving operators the most comfortable ride possible. As a result, the machine’s 2812 kg (6,200 lb) operating weight is distributed down to only 24.1 kPa (3.5 pounds per square inch) of ground pressure. 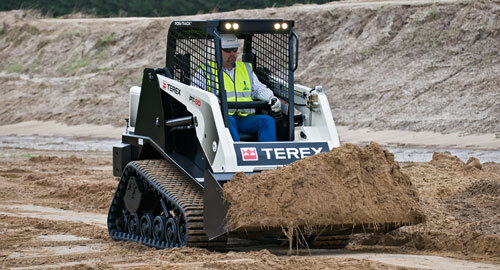 Its naturally-aspired 37.3 kW (50 horsepower) diesel engine provides smooth, reliable power. Operating the PT-50 is easy with pilot-operated joystick controls and a load-sensing hydraulic system that helps prevent engine stalls. 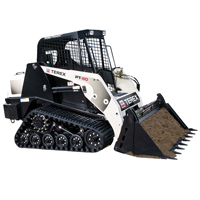 Optional smooth Turf Tracks or Extreme Terrain Tracks with aggressive treads are also available. Mid-sized compact track loader with low ground pressure and excellent traction for working on soft, wet or sensitive surfaces. Also offers exceptional performance on firm, stable ground conditions. Standard auxiliary hydraulics and quick coupler attach easily to a wide range of industry-standard attachments.